EuroStemCell is here to help European citizens make sense of stem cells. We provide independent, expert-reviewed information and road-tested educational resources on stem cells and their impact on society. 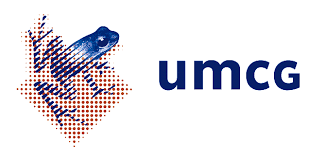 We’ve received funding from the European Union’s Horizon 2020 research and innovation programme (grant agreement number 652796). You can read more about the history of EuroStemCell here. 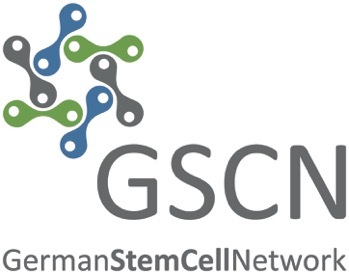 We’re a partnership of more than 400 stem cell and regenerative medicine labs across Europe, connected via research centres, consortia, networks and hubs. Scientists, clinicians, ethicists, social scientists and science communicators are all part of the project. We also work closely with patients, educators, regulators and policy makers to foster engagement and develop material that meets their needs. Our project team, based in Edinburgh, brings together a range of science communications expertise – from schools engagement and training to resource development, science writing, filmmaking and event management. 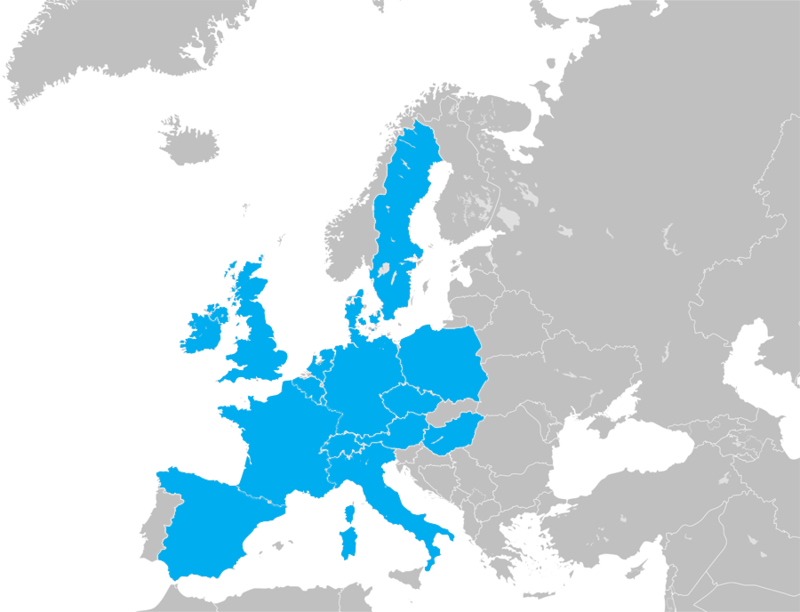 EuroStemCell has key partnerships with European Union-funded stem cell research consortia who provide significant contribution to the project financially and scientifically. EuroStemCell's non-profit work is made possible by the support of these partner institutions. Professor Clare Blackburn is a Group Leader at the University of Edinburgh's MRC Centre for Regenerative Medicine. EuroStemCell's Project Co-ordinator and Director of Training and Outreach for the original EuroStemCell, she has been instrumental in getting this website funded, up and running. She's also a Principal Investigator in Framework Seven project EuroSyStem. Clare’s research focuses on development of the thymus. The thymus plays a central role in the development of the body’s immune system as it is the main site in which T cells are generated. T cells are a type of white blood cell that play an important role in immunity. Clare's lab recently identified a population of progenitor/stem cells in mice that, on transplantation, is sufficient to generate a fully functional thymus. Amanda Waite is EuroStemCell’s Information and Translation Manager and is based at the University of Edinburgh’s MRC Centre for Regenerative Medicine. She coordinates the provision of expert-reviewed trustworthy information about stem cells, and the translation of EuroStemCell’s website and resources, to help European citizens make sense of stem cells. Amanda joined the University in 2012 and has worked in operations management, website development and system replacement projects. She has a Master of Professional Studies in Translation from the University of Auckland and has previously worked as a localisation project manager. Anna Couturier is the Digital Communications Manager for EuroStemCell and is based at the University of Edinburgh's MRC Centre for Regenerative Medicine. She develops educational digital resources for EuroStemCell's partners and public. She also provides in-depth training for scientists and science communicators with a special focus on science and technology in digital spaces. Her previous work covers global educational media development and digital advocacy at institutions including Da Vinci Learning, Columbia University, GLAAD, and the Women's Media Center. Following a PhD in cancer cell biology, Jan Barfoot worked as science communicator at the Institute of Cell Biology, University of Edinburgh, developing and delivering hands-on biotechnology/bioethical workshops and events. Following a secondment as project manager for the RCUK-funded outreach programme 'Researchers in Residence', Jan developed an undergraduate course in Science Communication and edited an educational booklet for teachers 'Stem cells: Science and Ethics'. Jan is now based at the MRC Centre for Regenerative Medicine (University of Edinburgh) where she worked as public engagement manager for OptiStem (FP7-funded stem cell research consortium) before taking up the role of Communication and Engagement Manager within EuroStemCell. She also teaches on the University of Edinburgh's MSc in Science Communication and Public Engagement. Professor Andrew Webster has been Professor in the Sociology of Science and Technology at York since 1999. He is also the Director of the Science and Technology Studies Unit at York which he established originally at Anglia Ruskin University in 1988. He has held a visiting fellowships at ANU, Sydney and Gothenburg universities. Giulio Cossu has a long lasting interest in the field of muscle cell and developmental biology. He discovered the myogenic potential of a bone-marrow derived, circulating progenitor cell (Ferrari et al., Science 1998). He also identified a novel population of vessel associated stem cell, the mesoangioblasts (Minasi et al. Development 2002; Dellavalle et al. Nature Cell Biol. 9, 255, 2007) that proved effective in the treatment of a mouse and dog models of muscular dystrophy (Sampaolesi et al. Science, 2003; Sampaolesi et al. Nature, 2006; Gargioli et al. Nature Medicine, 2008). Kim Jensen is an Associate Professor at BRIC, University of Copenhagen. His research focuses on tissue specific stem cells with a particular interest in the epitelial component of the small intestine and the skin. Read an interview about Kim Jensen on EuroStemCell. Wendy Bickmore is Director of the MRC Human Genetics Unit, part of the MRC Institute of Genetics and Molecular Medicine at the University of Edinburgh. After an undergraduate degree in Biochemistry at Oxford, she obtained her PhD at Edinburgh University. During postdoctoral training, she became fascinated by the structure and organization of chromosomes in the nucleus and as an independent fellow of the Lister Institute of Preventive Medicine (1991-1996) she went on to show that different human chromosomes have preferred positions in the nucleus, related to their gene content. As an MRC group leader she then investigated how individual genes are organized and packaged in the nucleus and how they move in the cell cycle and during development. Current research in Wendy Bickmore’s laboratory focuses on how the spatial organization of the nucleus influences genome function in development and disease. Wendy is an EMBO member and a Fellow of the Royal Society of Edinburgh and of the Academy of Medical Sciences. She is an editor on many journals including PLoS Genetics and Cell and is the President-Elect of the Genetics Society. Maria A. Ciemerych is a developmental and cell biologist focusing on mammalian development, stem cells, and regenerative medicine. She completed her MSc and PhD at the Department of Embryology, Faculty of Biology, University of Warsaw, studying the initial stages and cell cycle regulation during preimplantation mammalian development. She continued to analyse early mouse embryo during her pre- and postdoctoral trainings at Manchester University, Welcome/CRC - University of Cambridge and Jacques Monod Institute - University Paris 7. Finally she moved for 3 years to Dana Farber Cancer Institute – Harvard Medical School, where she was focusing on cell cycle regulation not only in mouse embryos but also in stem cells. After her return to Warsaw, she got involved in the studies on skeletal muscle regeneration and myogenic differentiation of various stem cells, including embryonic stem cells and mesenchymal stem cells. In 2006 she became a head of the Department of Cytology, Faculty of Biology, University of Warsaw. 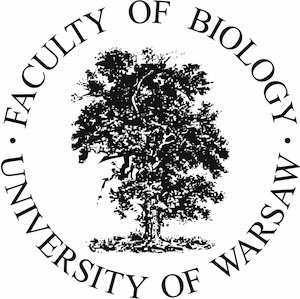 For the last 4 years she has served as a dean for research at the Faculty of Biology, University of Warsaw. Being a scientist, she also actively popularises science during various outreach activities. Prof. Andrews is Co-Director of the Centre for Stem Cell Biology at the University of Sheffield and leader of its Stem Cells and Cancer research group. The appearance of genetically abnormal cells aising from pluripotent stem cells in culture offers a unique model to study the initiation and progression of cancer cells. These models will allow the identification of critical genes which are responsible for the cancer-like properties of cells and may lead to novel strategies and therapies for treatment. A/Prof Megan Munsie combines her extensive technical expertise with an interest and understanding of the complex ethical, social and regulatory issues associated with stem cell science. Megan heads the Education, Ethics, Law & Community Awareness Unit at the Australian Government funded Stem Cells Australia initiative. Megan is a member of an international research team that is exploring community expectation in relation to stem cell science, and in particular ‘stem cell tourism’. Over the last decade, Megan has contributed to the development of relevant policy in Australia and co-authored educational resources for the public and health professionals. In addition to having worked for over fifteen years in the Australian stem cell field, Megan also has more than ten years experience as an embryologist in IVF clinics around Australia. Megan has a Bachelor of Applied Science from QUT, a Masters in Reproductive Sciences and a PhD from Monash University. It was during her PhD in 2000, in which she was the first person to demonstrate that stem cells could be made from ‘cloned' mouse embryos, that Megan saw the real need for scientists to engage with regulators and the public. The Tajbakhsh group focuses on identifying and characterising skeletal muscle stem cells. They use a genetic approach to examine how skeletal muscle stem cells are born, and how they acquire their identity. They also investigate the cell division mechanisms that govern self-renewal and differentiation during embryonic development and in the adult. They are able to isolate skeletal muscle stem cells for potential therapies using engineered fluorescent markers. Professor Austin Smith has expertise in the field of mouse developmental biology and has pioneered key advances in the field of embryonic stem cell research. Austin was the Project Co-ordinator for the original EuroStemCell, is Deputy Coordinator for another FP6 project, ESTOOLS, and is Project Co-ordinator in FP7 project EuroSyStem. In January 2010 he was awarded the prestigious Louis-Jeantet Prize for Medicine. You can view a short video describing Austin's research interests and motivations on the Louis-Jeantet Foundation's website. Petr Dvorak is Professor in Cellular and Molecular Biology and GeneticsDepartment of Biology, Faculty of Medicine, Masaryk University. Sarah Chan is a recently-appointed Chancellor’s Fellow at the Usher Institute for Population Health Sciences and Informatics, University of Edinburgh. She was educated at the University of Melbourne, Australia, where she completed degrees in biological science and in law, and spent a number of years as a researcher in a molecular biology laboratory before moving to work in the area of science policy and stem cell ethics. In 2005 Sarah took up a Research Fellowship in Bioethics and Law at the Centre for Social Ethics and Policy, University of Manchester, where she also completed a MA in Health Care Ethics and Law and a PhD in Bioethics. From 2009 to 2015 she was Deputy Director of the Institute for Science, Ethics and Innovation, University of Manchester. Her research interests and publications cover areas including the ethics of gene therapy and genetic information, enhancement, research ethics, stem cells, animal ethics, transhumanism, and the ethics of science and innovation. Philip Newsome is Professor of Experimental Hepatology and Clinical Director of the Birmingham University Stem Cell Centre. He is an Area Lead (Liver Regeneration) in the NIHR Birmingham Liver Biomedical Research Unit. Philip has published over major research papers in scientific journals as well as reviews and book chapters in the fields of stem cell biology and liver disease. He has received major grants from NIHR, European Union, Wellcome Trust, UKSCF, BBSRC and the Medical Research Council. He is an enthusiastic communicator on the theme of translational stem cell work and non-alcoholic fatty liver disease and gives frequent talks to various groups at both the local and national level. Philip frequently contributes to both the local and national media and continues to advise the BBC on stem cell-related stories. Born in Stockholm in 1957, Urban Lendahl studied biology at Stockholm University from 1978-1982, specializing in molecular biology. After earning his PhD at the Karolinska Institute in 1987 (with Professor Lars Wieslander as advisor), Lendahl was a postdoctoral fellow at MIT 1987-1989 with Professor Ron McKay as mentor. After returning to the Karolinska Institute, Lendahl became Professor of Genetics in 1997. Lendahl is a member of the Nobel Assembly for Physiology or Medicine since 2001, and was during 2012 Chairman of the Nobel Committee for Physiology or Medicine. Lendahl’s research is focused on developmental biology, stem cells and intracellular signaling pathways, notably the Notch signaling pathway. Lendahl has served as head of the review committee at the Human Frontiers Science Foundation, and serves at evaluation committees at the Swedish Research Council and the Swedish Cancer Society. Lendahl is currently director of three research centers in stem cell research and regenerative medicine: DBRM (www.dbrm.se), StratRegen and WIRM (the Wallenberg Institute for Regenerative Medicine). Lendahl holds since 2010 a Distinguished Professor Award at the Karolinska Institute, is Editor-in-Chief for the journal Experimental Cell Research and is a Member of the Board of Trustees for the Koerber European Science Award. Paolo De Coppi is a Consultant Paediatric Surgeon at Great Ormond Street Hospital (GOSH), and Reader and Head of Stem Cells and Regenerative Medicine at the UCL Institute of Child Health in London. He has been an Honorary Professor at the Katholieke Universiteit Leuven, Belgium, since 2013, an Adjunct Assistant Professor at the Wake Forest Institute for Regenerative Medicine, Wake Forest University in Winston-Salem, North Carolina, since 2009 and an Honorary Assistant Professor in Paediatric Surgery at the University of Padua, Italy, since 2005. He co-ordinates the EU Horizon2020 funded stem cell research consortium - INTENS which aims to aims to make a functional reconstructed bowel for people with Short Bowel Syndrome. Andras is member of the Stem Cell Committee of the Hungarian Academy of Sciences, the Medical Research Council Committee on Human Reproduction and board member of the Hungarian Biotechnology Association. 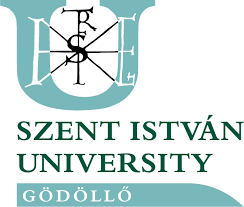 The Molecular Animal Biotechnology Laboratory of the Szent Istvan University, Hungary was established with his appointment as full professor. Furthermore, he is an invited professor at the Veterinary Faculty of Utrecht University, the Netherlands. He has an MBA-level degree in management and years of international experience in project and team management, and creation of industrial spin-offs via his role as co-founder and director of BioTalentum Ltd (www.biotalentum.eu). Prof. Dinnyes is member and advisor in several professional associations and society, and works as editor for the World Journal of Stem Cells and as Senior Editorial Board for the American Journal of Stem Cells. He was rewarded with the Gábor Dennis Innovation Award, Hungary in 2013. Christine Mummery is Professor and chair of Developmental Biology at Leiden University Medical Centre. She pioneered studies on cardiomyocytes from human embryonic stem cells and was among the first to inject them in mouse heart after myocardial infarction Present interests are on using stem cell derived cardiomyocytes and vascular cells as disease models, for drug discovery. In 2007, she was a joint Harvard Stem Cell Institute/Radcliffe fellow. She presently serves on several Ethical Councils, Scientific Advisory and Editorial Boards and has written a popular book on stem cells. She is also on the board of ISSCR, president of the International Society of Differentiation and an elected member of the Royal Netherlands Academy of Science. Read our interview with Christine Mummery: A physicist's take on stem cell biology. Thomas Graf is Coordinator of the Differentiation and Cancer Programme at the Center for Genomic Regulation and an ICREA professor in Barcelona, Spain. His lab is interested in the role of transcription factors in hematopoiesis and leukemia, and how these regulators can induce trans-differentiation. Is blood cell differentiation a strictly hierarchical process or does more than one pathway exist for the formation of a given cell type? More specifically, how does a single transcription factor, C/EBPa, reprogram B-lymphocytes to become functional macrophages? During this process, what epigenetic changes are required to turn thousands of genes off and on, making a 'cell within a cell'? What are the common principles during induced transdifferentiation? Answering some of these questions will enhance our understanding of the connection between differentiation and cancer. They will also help designing new protocols for the controlled reprogramming of differentiated cells that might be useful for cell replacement therapies. From 1991-2002 Hans Clevers was Professor in Immunology at the University Utrecht and, since 2002, Professor in Molecular Genetics. From 2002-2012 he was director of the Hubrecht Institute in Utrecht. From 2012-2015 he was President of the Royal Netherlands Academy of Arts and Sciences (KNAW). Since June 1, 2015 he is director Research of the Princess Maxima Center for pediatric oncology. Hans Clevers has been a member of the Royal Netherlands Academy of Arts and Sciences since 2000, a member of the American Academy of Arts and Sciences since 2012 and a member of the National Academy of Sciences of the USA since 2014. He is the recipient of several awards, including the Dutch Spinoza Award in 2001, the Swiss Louis Jeantet Prize in 2004, the Memorial Sloan-Kettering Katharine Berkan Judd Award in 2005, the Israeli Rabbi Shai Shacknai Memorial Prize in 2006, the Dutch Josephine Nefkens Prize for Cancer Research and the German Meyenburg Cancer Research Award in 2008, the Dutch Cancer Society Award in 2009, the United European Gastroenterology Federation (UEGF) Research Prize in 2010, the German Ernst Jung-Preis für Medizin in 2011, the French Association pour la Recherche sur le Cancer (ARC) Léopold Griffuel Prize, the Heineken Prize in 2012, the Breakthrough Prize in Life Sciences in 2013, the co-recipient of the 2015 ISSCR McEwen Award for Innovation and the Academy Professor Prize, Kazemi Award for Research Excellence in Bio-Medicine, Körber European Science Prize , I&H Wachter Award and the Swammerdam medal in 2016. He obtained two ERC Advanced Investigator grants (2008 and 2016). He is Chevalier de la Legion d’Honneur since 2005 and Knight in the Order of the Netherlands Lion since 2012. 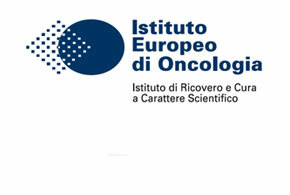 Giuseppe Testa is head of the stem cell epigenetics unit at the European Institute of Oncology. He is also Deputy Principal Investigator in the Research Unit on Biomedical Humanities. 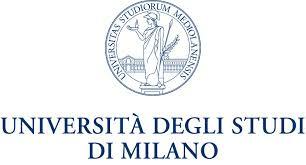 He is the cofounder of the interdisciplinary PhD program FOLSATEC (Foundations of the Life Sciences and Their Ethical Consequences) in Milan. Freddy Radtke obtained his Ph.D. in Molecular Biology from the University of Zürich in 1994. In 1995, he started his postdoctoral research in the laboratory of Michel Aguet at Genentech, Inc. (San Francisco, USA). In 1997, he returned to Switzerland with Michel Aguet and finished his postdoctoral fellowship at the Swiss Institute for Experimental Cancer Research (ISREC) in Lausanne. From 1999‑2005, he was a group leader and Associate Member at the Ludwig Institute for Cancer Research. Freddy Radtke then joined ISREC in January 2006 as a senior scientist and in July 2006, he was appointed Associate Professor at the EPFL School of Life Sciences. Professor Anne Rosser heads the South Wales clinical neurology service for HD as consultant neurologist. She chairs the UK HD research network and the UK arm of the European HD Network, and serves on the Scientific Advisory Committee of the global project Enroll-HD. 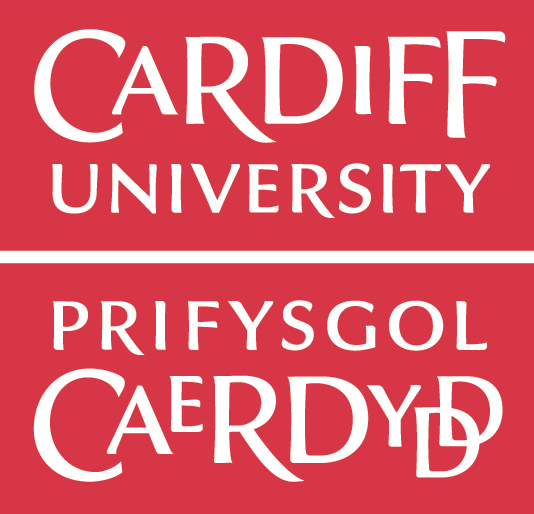 As a scientist, Professor Rosser co-directs the Brain Repair Group in the Cardiff University School of Biosciences with particular responsibility for neural stem cell studies, and is the clinical director of the Cardiff Foetal Tissue Bank. Professor Blanpain is a researcher of the Belgian FNRS and group leader at IRIBHM, Université Libre de Bruxelles (ULB), Belgium, and is a PI in the current EuroStemCell (H2020) project. His lab is interested in understanding the role of epithelial stem cells during development, homeostasis, cancer initiation and growth. Stem cells (SCs) have the unique capacity to self-renew and to differentiate into the cell lineages that constitute their tissue of origin. SCs are found in many adult tissues and are critical for maintaining tissue homeostasis and for regenerating damaged tissue after injuries. We are using genetic lineage tracing experiments in mice to determine how stratified epithelia are formed during embryonic development and are maintained thereafter during tissue homeostasis. We are studying how adult SCs sense and respond to DNA damage in their natural niche. Two epithelial skin cancers are frequent in human populations: the squamous cell carcinoma and the basal cell carcinoma. The identification of the cells at the origin of these two frequent human cancers remains elusive. We are using mouse genetics to identify cells at the origin of these two frequent cancers and developed new approach to understand the molecular changes that occurred from the first oncogenic event to the development of invasive cancers. Göran Hermerén has been Professor of Medical Ethics at the Faculty of Medicine, Lund University, Sweden, since 1991. He has also held the position of Professor of Philosophy, Lund University, since 1975 and he was Professor of Philosophy of Science and Humanities, Umeå University from 1970-75. He is co-ordinator of the EU-funded research project Europriorities and is involved in several other EU-funded projects. He has published and edited books on research ethics as well as papers on ethical problems (mainly medical ethics) in international periodicals. 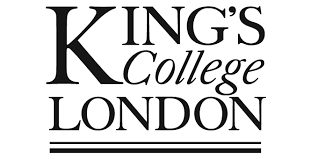 Current research and teaching interests include ethical aspects of gene testing and stem cell research. Henrik Semb is Managing Director of Danstem and Professor of Human Stem Cell Biology. He uses an integrated and multi-disciplinary approach to his research which focuses on pancreas development and disease using a combination of developmental biology and stem cell research. He is the project co-ordinator of the EU funded HumEn project, which aims to up-scale the generation of insulin producing beta cells for the treatment of diabetes. Read an interview with Henrik Semb. Professor Elena Cattaneo is Director of the Laboratory of Stem Cell Biology and Pharmacology of Neurodegenerative Diseases at the Department of Pharmacological Sciences, as well as a co-founder and first appointed Director of UniStem, the Centre for Stem Cell Research of the University of Milano. The main research theme of her lab is neural stem cells, and the molecular pathophysiology of Huntington’s Disease. Funders of Prof Cattaneo's lab include the Huntington's Disease Society of America (H.D.S.A. ), Hereditary Disease Foundation,High Q Foundation, the European Union (through EuroStemCell, NeuroStemcell, ESTOOLS, NeuroNE, STEM-HD and Stem-stroke projects), Fondazione Cariplo, and Telethon Italy. Prof Cattaneo is a Coalition Investigator of the Huntington's Disease Society of America (H.D.S.A. ), and a member of the Board of Directors of several European consortia (including EuroStemCell and NeuroNE). She acts as a reviewer for several journals (including Science, Nature Neuroscience, Nature Genetics, and Journal of Neuroscience) and international funding agencies, and is a member of the Scientific Advisory Board of the Hereditary Disease Foundation and of the Euro-HD Network. Prof Cattaneo's studies on neural stem cells and Huntington's disease saw her awarded the “Le Scienze” Price for Medicine and a Gold Medal from the President of the Italian Republic in 2001. In 2005 she was awarded the Marisa Bellisario and Chiara D’Onofrio prizes, in 2006 was nominated Cavaliere Ufficiale (Knight) of the Italian Republic, and in 2013 was appointed senator for life by Italy's president, Giorgio Napolitano. She was also named Stem Cell Person of the Year in 2013 by Paul Knoepfler and the readers of his blog, and awarded the ISSCR Public Service Award in 2014, with Paolo Bianco and Michele De Luca, for "their recent involvement in public debate and policy-making in Italy, championing rigorous scientific and medical standards and stringent regulatory oversight in the introduction of new stem cell treatments into the clinic." Prof Cattaneo has published 105 papers in peer-reviewed journals, has given more than 200 invited lectures, and is very active in organizing professional development and outreach events - for both the scientific community and lay public. Maria obtained her PhD from the University of Salamanca (Spain) working in the laboratory of Dr. Xose R. Bustelo at the Cancer Research Centre (CSIC-University of Salamanca). Her PhD was focused in understanding how the Vav family of oncoproteins, involved in many human diseases such as cancer, are regulated upon cell signalling activation. She moved to the UK to work as a postdoctoral researcher in the Hendrich Lab based at the Wellcome Trust - MRC Stem Cell Institute, University of Cambridge. There she studies how embryonic stem cells make decisions during mouse embryo development focusing on how these processes are controlled by gene regulation and cell signalling events. In the last years she has become really interested in science communication and public engagement trying to bring science closer to the general public. Xavier Donadeu graduated with a veterinary degree from University Autonoma of Barcelona in 1993. He then went on to study an MS and PhD in reproductive biology in the USA, continuing there as a postdoctoral fellow in ovarian cell signalling. He came to Edinburgh in 2005 to work as a lecturer at the Roslin Institute, where today the focus of his work is reproductive and stem cell biology in domestic animals, particularly equine stem cells. Anzy is a second year PhD student in Brian Hendrich’s Lab at the Wellcome Trust - Medical Research Council Cambridge Stem Cell Institute, University of Cambridge. She is enrolled in the Wellcome Trust 4-year Stem Cell PhD programme. Tom is a PhD student in the laboratory of Prof Peter Andrews in Sheffield, UK. He is particularly interested in how stem cells make fate decisions and how we can use this knowledge in developing a system to monitor drug toxicity of the human embryo. 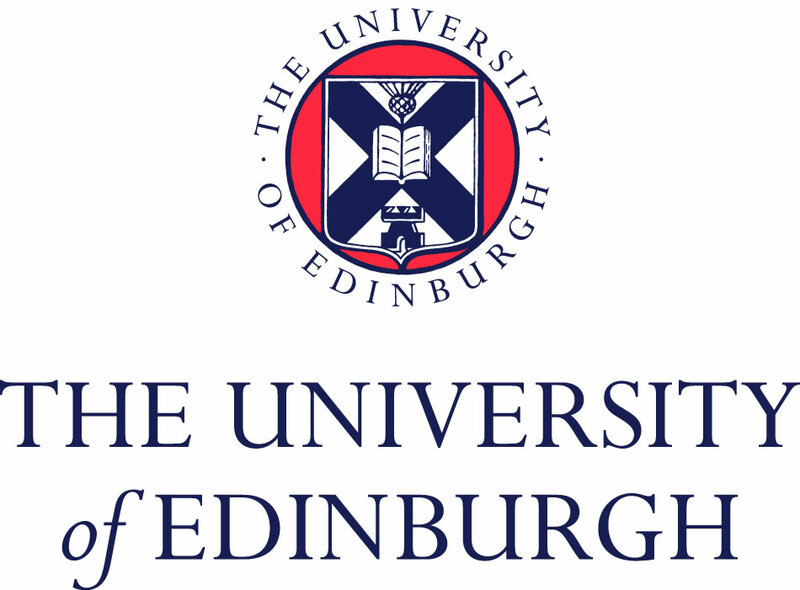 I am a PhD student in Val Wilson's group, in the MRC Centre for Regenerative Medicine, at the University of Edinburgh. I generate tools that will be used to understand how stem cells become specialized into specific cell types. Reinhold trained as a medical doctor and then studied Stem Cell Biology during his Ph.D. studies at Okayama University, JAPAN. Currently, he is a lecturer at the Centre for Vision and Vascular Science, Queen’s University Belfast, UK, where his research focuses on the therapeutic potential of endothelial progenitor cells for ischaemic retinopathies.